by K. Bailey Freund, David Sarraf, William F. Mieler and Lawrence A Yanuzzi. Elsevier. 2017. 2. Multimodal imaging of bilateral diffuse uveal melanocytic proliferation associated with an iris mass lesion. Naysan J, Pang CE, Klein RW, Freund KB. International Journal of Retina and Vitreous. 2016 May 16;2:13. 3. Acute Macular Neuroretinopathy Associated With Chikungunya Fever. Pang CE, Navajas EV, Warner SJ, Heisler M, Sarunic MV. Ophthalmic Surgical Lasers and Imaging Retina. 2016 Jun 1;47(6):596-9. 4. LAMELLAR HOLE-ASSOCIATED EPIRETINAL PROLIFERATION: A Clinicopathologic Correlation. Pang CE, Maberley DA, Freund KB, White VA, Rasmussen S, To E, Matsubara JA. 5. Correspondence: Extreme Choroidal Thinning in Myopia. Pang CE, Sarraf D, Freund KB. 6. Intraocular Nematode Affixed to Posterior Lens Capsule. Karth PA, Swinney CC, Moshfeghi DM, Yannuzzi LA, Pang CE, Leng T.
Ophthalmic Surgical Lasers and Imaging Retina. 2015 Nov-Dec;46(10):1066-7. 7. The Onion Sign in Neovascular Age-Related Macular Degeneration Represents Cholesterol Crystals. Pang CE, Messinger JD, Zanzottera EC, Freund KB, Curcio CA. 8. Correspondence: Extreme Choroidal Thinning in Myopia. 10. Correspondence: Epiretinal Proliferation seen in association with Lamellar Macular Hole. 11. Association Of Prevascular Vitreous Fissures And Cisterns With Vitreous Degeneration As Assessed By Swept Source Optical Coherence Tomography. Pang CE, Schaal KB, Engelbert M.
12. New insights into Stargardt disease with multimodal imaging. Pang CE, Suqin Y, Sherman J, Freund KB. Ophthalmic Surgical Lasers and Imaging Retina. 2015 Feb;46(2):257-61. 13. ASSOCIATION BETWEEN NEEDLE SIZE, POSTINJECTION REFLUX, AND INTRAOCULAR PRESSURE SPIKES AFTER INTRAVITREAL INJECTIONS. Pang CE, Mrejen S, Hoang QV, Sorenson JA, Freund KB. 14. Comparing Functional And Morphologic Characteristics Of Lamellar Macular Holes With And Without Lamellar Hole-Associated Epiretinal Proliferation. Pang CE, Spaide RF, Freund KB. 15. Swept-source optical coherence tomography features of choroidal nevi. Francis JH, Pang CE, Abramson DH, Milman T, Folberg R, Mrejen S, Freund KB. American Journal of Ophthalmology. 2015 Jan;159(1):169-76.e1. 16. Adaptive optics imaging of cone mosaic abnormalities in acute macular neuroretinopathy. Mrejen S, Pang CE, Sarraf D, Goldberg NR, Gallego-Pinazo R, Klancnik JM, Sorenson JA, Yannuzzi LA, Freund KB. Ophthalmic Surgical Lasers and Imaging Retina. 2014 Nov-Dec;45(6):562-9. 17. Intravitreal polypoidal choroidal vasculopathy in radiation retinopathy. Ophthalmic Surgical Lasers and Imaging Retina. 2014 Nov-Dec;45(6):585-8. 18. Extreme choroidal thinning in high myopia. 19. Feasibility and clinical utility of ultra-widefield indocyanine green angiography. Klufas MA, Yannuzzi NA, Pang CE, Srinivas S, Sadda SR, Freund KB, Kiss S.
20. The spectrum of superficial and deep capillary ischemia in retinal artery occlusion. Yu S, Pang CE, Gong Y, Freund KB, Yannuzzi LA, Rahimy E, Lujan BJ, Tabandeh H, Cooney MJ, Sarraf D.
American Journal of Ophthalmology. 2015 Jan;159(1):53-63.e1-2. 21. Paraneoplastic cloudy vitelliform submaculopathy in primary vitreoretinal lymphoma. Pang CE, Shields CL, Jumper JM, Yannuzzi LA. American Journal of Ophthalmology. 2014 Dec;158(6):1253-1261.e2. 22. Pachychoroid pigment epitheliopathy may masquerade as acute retinal pigment epitheliitis. Investigative Ophthalmology and Visual Sciences. 2014 Aug 22;55(8):5252. 23. Correspondence: Multimodal Imaging Findings in Retinal Deep Capillary Ischemia. Yu S, Wang F, Pang CE, Yannuzzi LA, Freund KB. 24. Enhanced vitreous imaging technique with spectral-domain optical coherence tomography for evaluation of posterior vitreous detachment. Pang CE, Freund KB, Engelbert M.
25. Ultra-widefield imaging with autofluorescence and indocyanine green angiography in central serous chorioretinopathy. Pang CE, Shah VP, Sarraf D, Freund KB. American Journal of Ophthalmology. 2014 Aug;158(2):362-371.e2. 26. Epiretinal proliferation seen in association with lamellar macular holes: a distinct clinical entity. 27. Ghost maculopathy: an artifact on near-infrared reflectance and multicolor imaging masquerading as chorioretinal pathology. American Journal of Ophthalmology. 2014 Jul;158(1):171-178.e2. 28. The premacular bursa's shape revealed in vivo by swept-source optical coherence tomography. Schaal KB, Pang CE, Pozzoni MC, Engelbert M.
29. Multimodal imaging findings in retinal deep capillary ischemia. 30. Froin Syndrome and the Associated Papilloedema. Cullen JF, Pang CE, Kumar K, Lim EHW. 31. Evaluation of Corneal Epithelial Healing Under Contact Lens with Spectral-Domain Anterior Segment Optical Coherence Tomography (SD-OCT). Pang CE, M V, Tan DT, Mehta JS. 32. Central corneal thickness in Chinese subjects with primary angle closure glaucoma. Pang CE, Lee KY, Su DH, Htoon HM, Ng JY, Kumar RS, Aung T.
33. Anterior uveitis as a clinical presentation of orbital inflammatory disease in an adult. Singapore Med J. 2009 Jul;50(7):e229-31. 34. 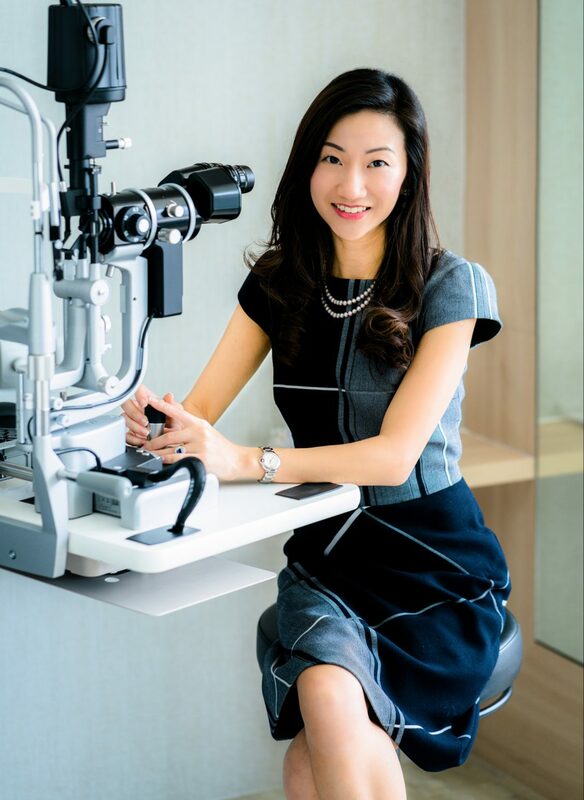 Age-related macular degeneration in Singapore. Cheng CL, Saw SM, Pang CE, Chee C.
Singapore Med J. 2009 Feb;50(2):126-31.